Bees are everywhere this season. On the catwalks and models, on the celebrities and in magazines. Which means they're the perfect way to update an outfit, or give your winter wardrobe a buzz! 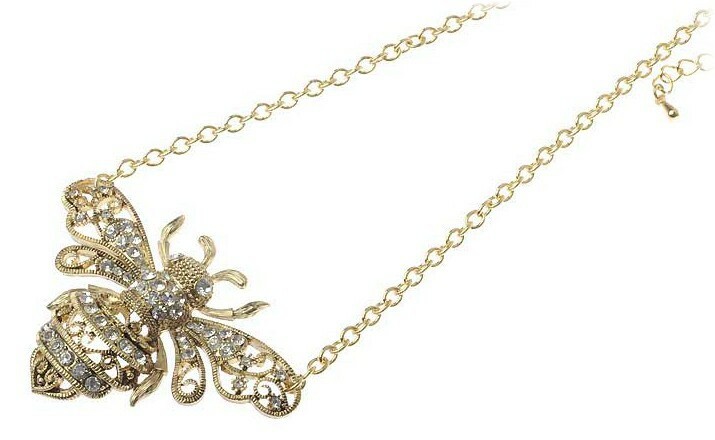 This particular bee sits on a golden chain and like the matching brooch is created with intricate swirls and shimmering crystal clear crystals.